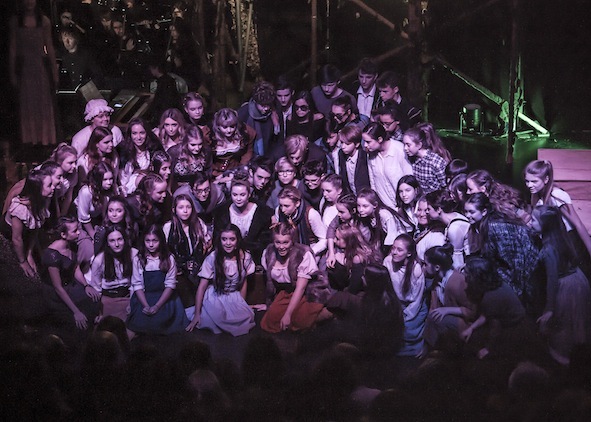 Following on from their award winning production of Billy Elliot last year, over 70 students and staff from the Minster School have been working incredibly hard since September to prepare for their school production of Into The Woods, under the direction of Mrs Chapman. The production which took place last month, saw two casts perform throughout seven performances to a packed crowd each show. Written by Stephen Sondheim and James Lapine, the show combines some of the best known fairytales in a plot to discover what happens after happily ever after. The very challenging musical score and complex, fast paced dialogue, is very rarely taken on by schools. Performances have received great praise and reviews from audience members, made up from members of the wider community. Well done to everyone involved. The school Christmas Concert will be taking place on Monday 18th December in Southwell Minster, to draw to a close what has been an incredibly busy term for the department.